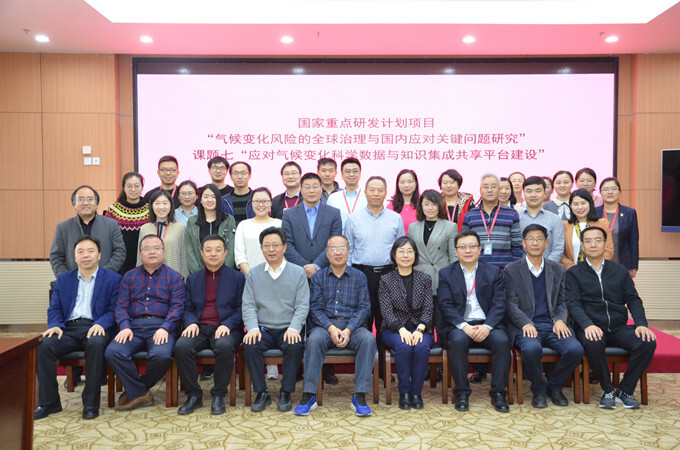 On March 19th, the kick-off and implementation plan workshop of “Construction of Integrated Service Platform for Scientific Data and Knowledge on Climate Change Risk”, one sub-project of National Key R&D Program, was held in Lanzhou. There were almost 40 representatives attending the meeting. They are from 10 institutions, such as Gansu Provincial Meteorological Bureau; Department of Ecology and Environment of Gansu Province; Institute of Rock and Soil Mechanics, Chinese Academy of Science; Northwest Institute of Eco-Environmental and Resources, Chinese Academy of Sciences; Lanzhou University; Northwest Normal University; Shanghai Environment and Energy Exchange; National Climate Center; Fudan University. The workshop was hosted by the project leader, Prof. Jiansheng Qu. 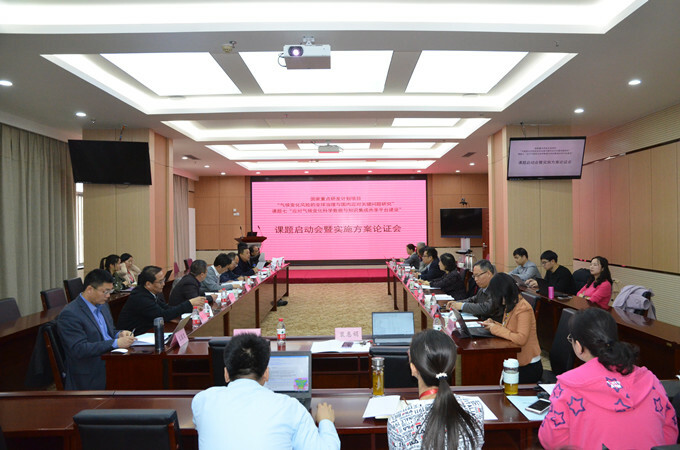 Prof. Qingchen Chao, the Chief scientist of the project, deputy director of National Climate Center attended in the workshop. Prof. Qu gave an overall introduction of the implementation plan, and detailed the content, annual plan, organizational safeguards and risk control measures of the project. The task schedule for each group was determined. The exchange and discussion mechanism was established among the research groups of the projects. And the cooperation mechanism among the groups were also coordinated during the workshop, which provided a good beginning of the project.